With all this talk of Hennessy White being illegal in the U.S, it’s understandable that cognac connoisseurs around the country are thirsty (pun intended) to get their hands on this mysterious, potentially contraband product. But is it worth the hype? First things first: Hennessy White is not illegal in the country, it’s simply not sold here. Why it isn’t sold here, we’ll never know; Hennessy refuses to give a concrete answer as to why their highly-sought after Pure White brand is unavailable in American stores. One theory is that Pure White’s off-brand taste and appearance clashes with the company’s already existing image of being purveyors of high-class and expensive spirits, which, if we’re being honest, is totally in line with Hennessy Pure White. If you’re lucky enough to get your hands on a bottle, you’ll find it to be one of the smoothest sips of cognac in your life. It’s elegant in taste, pure in spirit, and its pale color belies the sheer magnitude of flavor that it delivers. But getting a bottle of this mysterious elixir is no easy feat because it’s only available in two locations: Cognac, France, which is also the Hennessy headquarters, and strangely enough, the Caribbean. 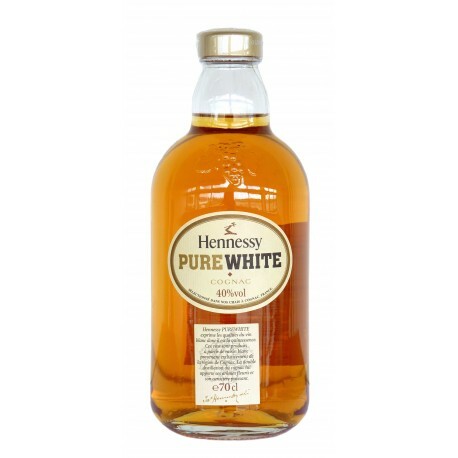 It’s through the latter that most Hennessy Pure White’s make their way into the country, usually by vacation-goers visiting Barbados or the other Bahamian Islands. It might show up from time to time in various specialty liquor stores in the country, but it will usually be in limited stock, so if you see one, get it. For the newbie appreciators out there, here’s a little lesson on that wonderful elixir we call Cognac. Cognac is a type of brandy made from the distillation of white wine and aged in oak barrels. It’s a mixture of different kinds of spirits called eau de vie, or, “water of life”. Different kinds of eau de vie (varying in terms of the fruit used, how long it was aged for, and where it was aged, among other things) are then blended to create Cognac. Now, Cognac can only be called Cognac if and only if it is produced in the Charente region of France, particularly in the town of, you guessed it, Cognac. There are other factors as well that determine whether a spirit can be called Cognac, and it ranges from the type of grape to be used (Ugni blanc is the requirement) down to the kind of barrel where it’s aged (French oak only, please). Cognac is twice distilled in a special pot unique to the Charente region called an Alembic Charentai, before it is aged in barrels made from oak specifically from either Limousin or Tronçais, two forests to the east of Charente. Although it might seem peculiar, or even unnecessary to the layman, it’s these key differences that distinguish Cognac from Brandy, or Whisky, for that matter, which isn’t typically blended. What Makes Hennessy White Different? Hennessy Pure White is unique because of the various kinds of eau de vie that is used to create it. Of course, the formula is secret, but one Hennessy insider has been quotes as saying that the Hennessy Pure White is “a difficult Cognac to produce”. As a unique cognac in itself, the Hennessy Pure White is very different from the classic blend, standing out with a bold personality on its own. It’s sold only in 70cl bottles. Eye: HPW has a light, honey color, with a dazzling amber glow. Nose: As soon as you open the bottle, you’re immediately seduced by its gentle, sweet, almost sensual, flowery aroma. Taste: From its looks alone, you should expect a very delicate taste; On first sip, the HPW gently provides your palette with subtle flower notes and hints of fresh fruit, which slowly turns into a highly complex and delightful finish. Finish: One of the smoothest, gentlest finishes from a spirit as strong as Cognac, the HPW leaves you with absolutely no burning sensation. The HPW finish gives you a very light, flowery finish that lasts much longer than other types of Cognac. Blend: Double-distilled, aged in oak barrels, and blended with eau de vie from the Grande Champagne, Petite Champagne, Borderies, and the Fins Bois areas, it’s a delightful mix of complementary tastes and aromas. Age: The HPW has one of the most complex blends of eau de vie, with spirits ranging from 2 years all the way up to 50, which is why HPW defies normal categorization. However, if it were up to us, we would classify it as a VSOP-quality Cognac. Price: Since there’s no official HPW distributor in the country, most bottles are sold by independent importers, which means that the HPW can vary in price. However, in most cases, a bottle of HPW comes to around $100-$150 a bottle (plus shipping and handling, if applicable). Of course, because it’s not imported to the U.S., the markup of Hennessy Pure White can be ridiculous. Although, given its legendary taste and its esteem as a rare spirit, you can kind of forgive the price tag. So to answer the question, is Hennessy Pure White illegal in the country, the answer is a resounding: No, it isn’t illegal, but it is hard to find, and when you do find it, you need to pay top dollar for a taste. Setting aside our conspiracy theories on why it isn’t sold here (it’s a marketing ploy by Hennessy! The government is stock piling it for nefarious means! ), let’s talk about this amazing liquor. Right off the bat, Hennessy Pure White is one of the most versatile cognacs in the (limited) market: it’s light enough to be drunk neat while imparting strong fruity and flowery notes, but it’s strong enough to hold its own in a cocktail. 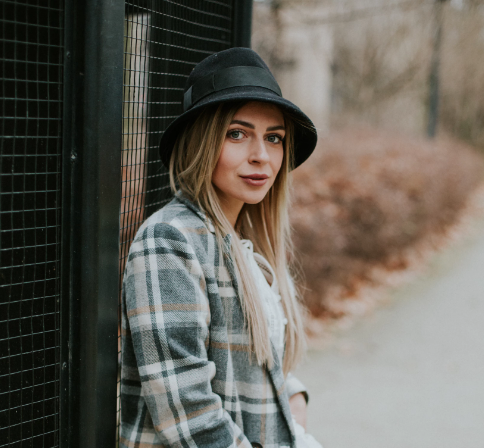 Hennessy Pure White is a favorite for cognac lovers of any age or experience, and it’s perfect for those collectors, culture vultures and style aficionados who just want to own something that no one else has. Speaking of collectors, they’ll find the Hennessy Pure White to be right up their alley, thanks to the uniquely beautiful, one-of-a-kind design of the bottle. At the end of the day though, whether you’re collecting it for style or substance, the Hennessy Pure White will unite both camps with its amazing flavor. Here’s the good news: there are importers in the country that can get you a bottle of this mythical spirit without having to take out another mortgage on your home (mild exaggeration, I know). A quick Google search for ‘Hennessy Pure White Importer America’ will yield multiple results, but be warned: make sure you get your bottle of HPW from a trusted and legitimate source. There have been reports of fake bottles of Hennessy Pure White that look like the real thing, but are, in fact, just watered down versions of the regular Hennessy cognac. So, caveat emptor, I suppose.